What Workers’ Compensation Benefits Are Available If I Suffer A Permanent Injury? | Pothitakis Law Firm, P.C. What Workers’ Compensation Benefits Are Available If I Suffer A Permanent Injury? A permanent disability can have a profound effect on your life. Whether it is a full disability or a partial one, it can inhibit your ability to work, earn income, and simply enjoy life as you did before the accident or illness. For many injured workers, life is forever changed and adjusting to the new normal can be difficult. Physical and emotional stress is only compounded by financial concerns. Fortunately, those who suffer a work-related injury can obtain workers’ compensation benefits that will provide the medical care and wage replacement they need to remain stable and successful. If you or someone you love has suffered a permanent injury at work, learn more about the benefits that may be available. Permanent Partial Disability – Benefits for those who suffer a permanent injury but are capable of returning to the workforce in some manner. Permanent Total Disability – Benefits for those who suffer a permanent injury that leaves them unable to work in any capacity. Scheduled member disabilities – A scheduled member disability is an injury to a specific body part as named by the workers’ compensation commission. For each scheduled member, benefits are offered for a specific number of weeks, depending on the nature of the injury. Scheduled member injuries involve the finger, hand, arm, leg, foot, toe, eye, and hearing. Unscheduled disabilities – An unscheduled disability occurs when an injury results in a permanent impairment that does not involve a scheduled member. It is known as an industrial disability and is compensated according to the percent that the disability reduced the person’s earning capacity. Unscheduled injuries most often involve the neck, back, shoulder, and hip. Permanent partial wage replacement benefits are typically offered at 80 percent of the employees weekly spendable earnings, not to exceed a state-set maximum, and they begin at the end of the healing period. In some cases, an injury leaves a worker unable to return to any gainful employment. 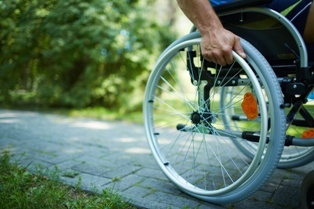 In these situations, permanent total disability benefits may be available, and they are payable as long as the employee remains totally disabled. For some, this may be a period of weeks or months, while for others it may be years. Permanent total disability benefits are also typically paid at 80 percent of the employee’s weekly spendable earnings, not to exceed a state-set maximum. Employees are eligible for this compensation from the date of the injury. All permanent disability benefits are significantly affected by what is known as the impairment rating. The impairment rating is set by a doctor and intended to reflect the degree of the impairment. This rating is determined once the worker has recovered as fully as possible and is expressed as a percentage. In Iowa, injured workers receive compensation that is equal to the impairment rating. For example, if a worker suffers an injury to his arm that results in limited motion and pain, a doctor will assess the injury to determine how much it affects his ability to perform daily functions. The doctor may conclude that the rating in this case is 75 percent. This rating is then applied to the number of weeks as set by the scheduled member appendix. Iowa law states the loss of use of an arm is equal to 250 weeks of compensation. So, this worker would receive pay for 75 percent of 250, or 187.5 weeks. This makes the impairment rating crucial for workers who suffer a permanent disability. Even a small change in the rating could result in a significant difference in the compensation awarded. If you or someone you love has suffered a permanent injury, you may be entitled to Iowa workers’ compensation benefits. The compensation available to you depends on the nature and severity of your injuries, and an experienced attorney can help you understand your rights to obtain the maximum compensation possible. To learn more, request a free copy of our book, 7 Things You Must Know if You Get Hurt at Work. After reading this information, call the legal team at Pothitakis Law Firm. We can answer your questions and may be able to help you obtain the compensation you deserve. Can I Afford an Attorney for My Iowa Workers’ Compensation Case? Previous PostPrevious Do Independent Contractors Have Any Rights To Workers’ Compensation Benefits? Next PostNext What Facts Do I Need To Know About Iowa Workers’ Compensation?